United Way brings together the resources and efforts of companies, individuals and social entities to support the well-being of everyone, especially the most disadvantaged, in the local community of these corporations, neighbors and organizations. Adding the efforts of many, we will achieve the welfare of all. We coordinate with the Public and Private institutions, and thus we add our work to that of others who work with the same people from the same community. To obtain effective and lasting results, we work with specialized entities, our partners, local NGOs that execute the projects we design with them to respond to real and local needs. We work with companies, with whom we join forces to launch initiatives that turn into reality and results their corporate social responsibility in their local community. We mobilize volunteers, and we add their commitment for the common good to our projects and activities. At United Way we work on three different areas: education, income and health. Choose the one which you want to develop your project in. Either because it allies with your core business or because it is the area that most interests your employees. We like that companies are fully involved and actively participate in the projects, which are part of them. Today, measuring the results of any action is the basis for analyzing what works best and knowing the success of the project. We measure the results to measure the impact. If they do not see you, you do not exist. If you do not communicate, they do not know you. We help you to communicate the results of your project and impact as a responsible company. At United Way, we like to think, and work, in a different way. What exactly differentiates us? We work exclusively at the local level, which allows us to know the needs of each community, thus being able to give the best response and attention to partners and beneficiaries. We make sure that the right people and organizations are related to respond to the needs of each local community. 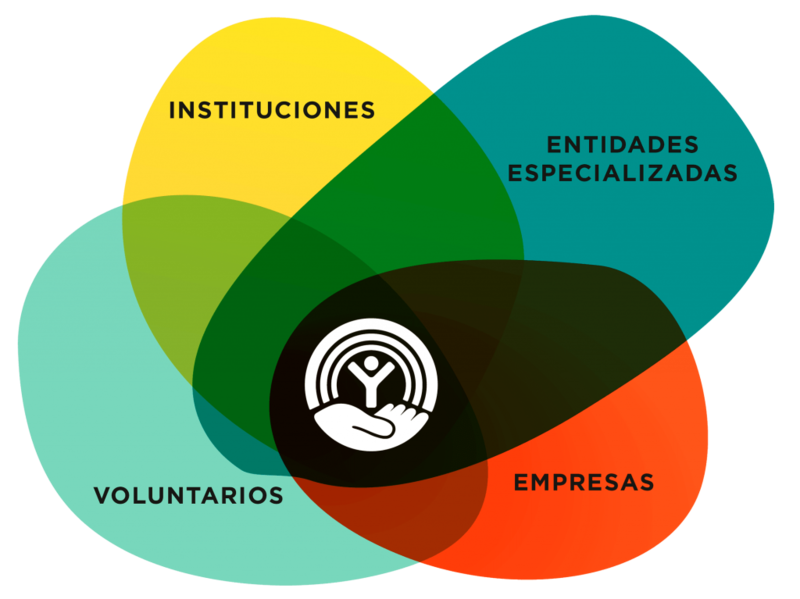 We work together with non-profit organizations, government, community institutions, corporate partners, volunteers and donors to improve the lives of people throughout Spain. While a short-term solution helps solve an urgent need, we work to create a lasting positive change.